An outdoor fountain can enliven a dull space like no other installation. The soothing sound of water fountains brings peace and serenity, while the design and aesthetics enhance the landscaping effects. An outdoor fountain is a great investment if you want to build a tranquil and relaxing space in your backyard or lawn. Buy on too large, and it may make the whole space feel cramped. And get one in a less than ideal size, and the overall effect is weakened. Try to find outdoor fountains that fit seamlessly into the available space, without overtly dominating the area. Measure your yard space or lawn area to get some precise numbers. 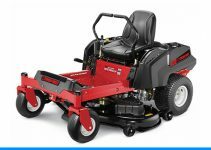 The choice here is determined mainly by your existing landscaping and personal preferences. The popular designs include metal (bronze) fountains, pedestal or statue designs; wall attached fountains, rock or urn designs, tiered fountains and animal shaped designs. Outdoor fountains have to weather the elements. Depending on your local climate, the performance of different building materials will vary. For instance, limestone will erode quickly in wet and humid regions. Concrete, on the other hand, can crack during harsh winters, while graphite will stand unaffected by the cold. Bronze will last a lifetime but will need frequent maintenance and polishing. Marble, while a poor choice in colder climes, will fare much better in other zones. Water flow variations can be mainly divided into three: spray, bubble jets, and steady streams. Each has its benefits and drawbacks. Sprays have a more majestic effect but require more space. Steady streams on the other hand, can work in smaller spaces but need more water. Some of these designs will also require advanced plumbing and regular maintenance. 1. Design Toscano Pixie Fairy Sculptural Fountain, Antique Stone Dimensions: 14"Wx14"Dx23"H 12 lbs. 2. 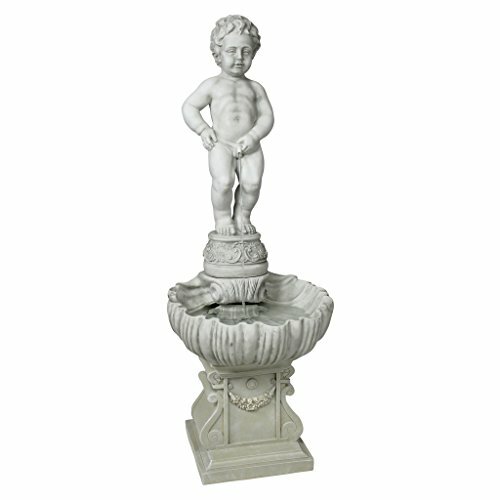 Design Toscano Complete Manneken Pis Fountain With Base Dimensions: 17"Wx17"Dx45.5"H 33 lbs. 6. Design Toscano Copper Falls Cascading Garden Fountain Dimensions: 14"Wx14"Dx33.5"H 22 lbs. 10. 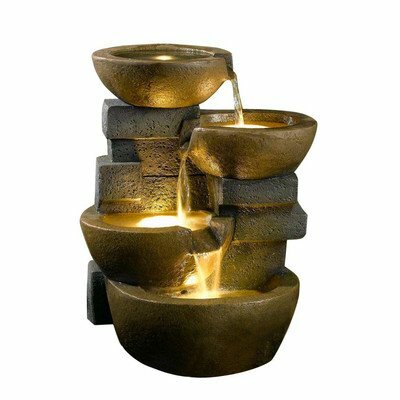 Jeco Inc. Zen Tiered Pots Fountain With LED Light Dimension: 18"L x 16"W x 23"H, Weight: 13.86 lbs. This classic looking fountain from Toscano has a pedestal design with a winged fairy staring whimsically at the flowing water. The water flows in a cascading style, over delicate, teardrop-shaped leaves into a basin. The overall design and aesthetics is flawless and should work well in any garden, or even in an indoor setting. The fountain has a smooth, antique stone finish. It has been manufactured by the hand-casting method and uses a combination of crushed stone and designer resin. Despite being a faux-stone fountain, this one looks quite beautiful. The water movement is handled by a small pump built into the design. 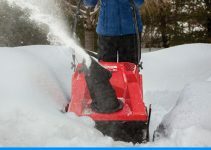 The installation is simple and hassle-free, but there are some questions regarding durability. The resin is not very durable, usually lasting only a few decades. That is about the only main complaint we have about this fountain. The peeing boy is one of the most famous fountain designs in the world. This Toscano version is a faithful replica of the original which can still be found in the Belgian city of Brussels. This fountain will bring some European flair to any garden or indoor space. Like the other Toscano fountain, this one is also made from crushed stone and designer resin, hand-cast for superior fit and finish. The faux stone finish is also hand-painted, and almost indistinguishable from the real thing. It can be used as a pure sculpture, or as a dynamic fountain with a built-in recirculating pump. The only primary concern with the design is its durability outdoors, due to the use of resin as the main building material. This minimalistic design from Kenroy Home has an exquisitely rustic feel. The combination of slate with copper accents look classy and should work well indoors as well as outdoors. The design will suit a patio more than a garden, it must be said. The pillar like design sits in a trough filled with stones. Water flows gently down from the top, across the steps cut into the rock face. The fountain comes with built-in lights that increase its attraction as darkness falls. The light looks a bit cheap, and some customers have complaints regarding the noise levels from the submerged pump. Otherwise, these are great outdoor fountains, with rock solid build and excellent durability. 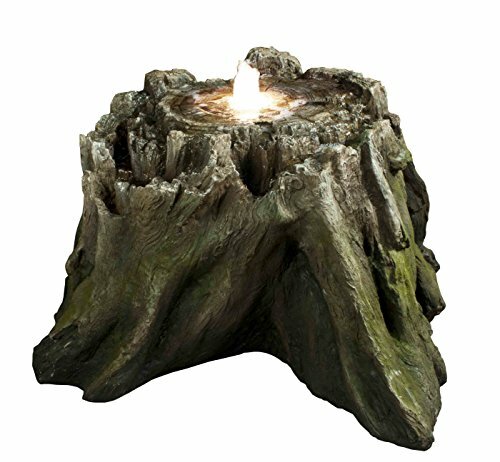 This fountain looks like it is made from dry and earthy logs, with a gentle cascading effect to the flow of the water. 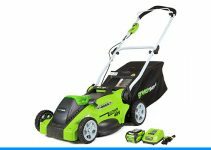 It is a magnificent and grand design that can work wonders pretty much anywhere outdoors. The fountain is made from cast resin and fiberglass. The natural looking woody finish is created by skilled artisans working with their hands. For the night, this fountain comes equipped with soothing LED lights that help to create a magical aura. The flow is well designed, with minimum risk of accidental splashes. The in built pump does a good job. The whole setup is easy to install. The only concern we have is regarding the durability of the polyresin, mainly when left outdoors exposed to the elements. If you want to bring some exotic culture to your garden or indoor space, this glazed jar fountain from Best Choice is indeed a good choice. It has an authentic Moroccan pottery inspired design and comes swathed in a beautiful hue of blue commonly associated with the Maghreb region. There is also a red version available. The vase has a delectably smooth glaze finish. The water bed is ribbed, and the water cascades from the top in a very pleasing fashion. At the head of the flow, there is an LED light at the spout for some light effects. The fountain is made from durable molded poly resin and comes with a 12V submersible pump. As far as the cons are concerned, the LED light gives off rather cheap looking multi color lights. Also, the water flow doesn’t create much enough sounds. Otherwise, this is a lovely little fountain. 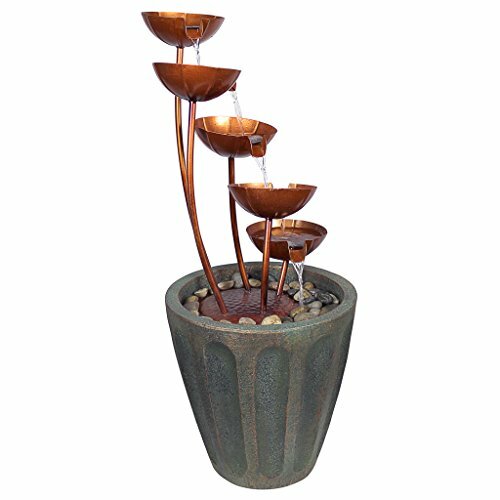 Copper Falls outdoor fountain has a very organic looking design, with the water falling from highly stylized flowers with stems of decreasing lengths. The flowers look a lot like lotus blossoms and are crafted in exquisite detail from copper. They rest in an urn filled with natural stones. The base is crafted from a combination of ground stones and designer resin. The whole piece is hand-cast and hand painted by skilled artisans, giving it a unique and classy look. The inbuilt pump is UL rated and can work both indoors as well as outdoors. The water sound is quite gentle and smooth, devoid of any mechanical noise from the pump. The copper parts will require some periodic maintenance to fight off the effects of oxidation. Other than that, there are no major flaws with this piece. Just don’t put it out entirely in the open, as the resin is not too durable outdoors. The boy and girl motif is a recurring theme from a bygone era, often found in fairy tale classics like the Grimm’s Tales. Invoke that unique aura with this well-crafted piece from Pure Garden. It has a delightfully antique looking bronze design. 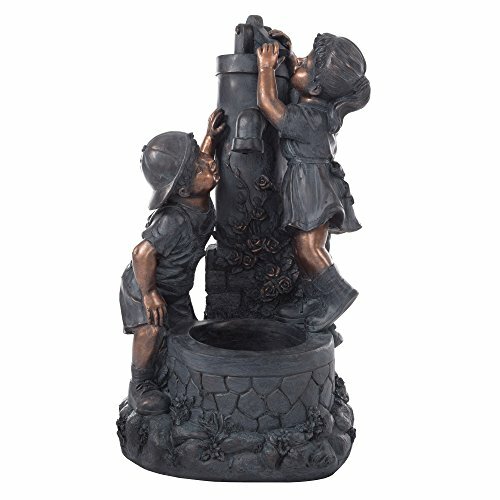 The kids stand on an antique water pump, from which the water flows down in a constant, soothing motion. The running water sounds very tranquil and relaxing. This fountain is best kept outdoors, in your garden, patio or deck. It is made from durable polyresin, a material that is largely weather-proof. There are minor issues and concerns regarding the painted finish and its durability out in the open. Also, the water reservoir is rather small, and you will have to refill it at least once every day. If you can forgive these issues, this might be an excellent choice for your garden or patio. 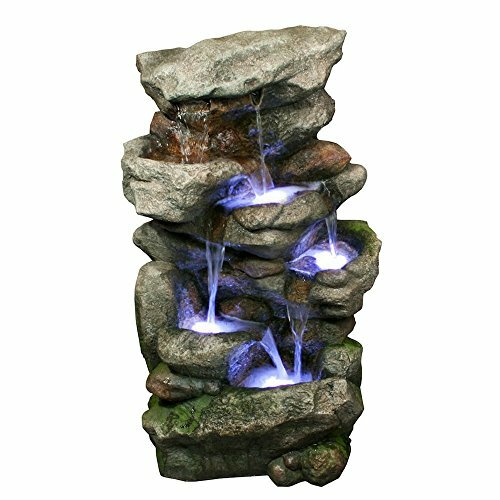 Rock fountains are one of the all-time top favorite designs, thanks to their overwhelming simplicity and that all-natural feel. This gray stone water fountain from Benzara will look great both inside your home as well as out in the garden or patio. To enhance its visual appeal at night, this model includes LED lights. The outdoor fountain is made of fiberglass and resin, a combination that is quite durable. The water cascades across four different levels of stones, producing a very noticeable sound. That audible sound is probably the best thing about this fountain. There are minor issues related to water leaks and the fragility of the LED bulbs. But the defects are on the whole, quite tolerable. This is an excellent choice for those who need their fountains on the louder end of the spectrum. This is a quite tall and imposing design that incorporates three different elements: jugs, wood, and stone steps. And it does look quite authentic, despite its cast resin construction. The whole fountain is quite lightweight despite its dimensions, and easy to move and install. The whole construction has a very earthy feel, which should work well in a garden or patio. The different elements all have hand applied finishes of faux ceramic, wood, and stone. The outdoor fountain can even be used indoors. It also has a green, leafy vine creeping up the fountain, which adds a nice flourish to the whole setup. You can even add to the effect with your vines and plants. The build quality is a little off since there are some issues related to leaks. Also, the sound is rather loud, which may not work well in an indoors setting. Otherwise, this is a decent product, especially when placed in outdoor environments. Enhance the relaxing and meditative ambiance in your home, garden or patio with this elegant outdoor fountain from Jeco Inc. Its design has a minimalist Eastern feel to it, with a series of four pots placed on simple stone bricks. The water cascades from each pot to the one below. The pots glow at night using the LED lights installed in them for an added visual feel. The whole fountain is manufactured from polyresin and fiberglass. It is quite lightweight, yet sturdy. The setup is easy to install and maintain, be it indoors or outdoors. As it is a bit compact, it will work better in smaller, enclosed spaces. The LED lights do not have a dedicated on-off switch. And the fountain might require daily refills, which can be a bit of a hassle. Save for these minor drawbacks, this is a solid little fountain, with just the right amount of noise for a peaceful and tranquil ambiance.